End-of-life care gave 92-year-old Barbara DeWaters the freedom to meet her death with dignity, surrounded by loved ones in a place she cherished. Will aging Mainers like her get the same medical and emotional support as demand for Medicare-funded hospice services skyrockets? When Maine looks in the mirror, it sees an aging face. One in five residents is now 65 or older, and as their numbers rapidly grow, seniors are having a profound impact on the state. Housing, health care, transportation and caregivers are already in short supply for older Mainers, and the demands for more of these critical services will escalate quickly. hrough the eyes and voices of Maine seniors, the Portland Press Herald/Maine Sunday Telegram is publishing an extended series that explores the aging of Maine, what it means for the state's economy and identity, and how it will shape the lives of so many of its people. The project includes stories, videos and a comprehensive resource website to help families and caregivers find the assistance they need. Additional installments will be published throughout the year. "At this age, who wants to be a fighter?" 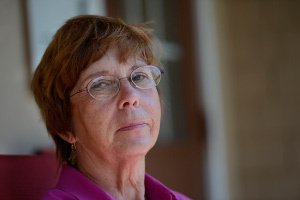 Mary Sweet, fighting to survive on Social Security, Medicare and Medicaid. Like many Mainers, Sweet worked hard, saved for retirement but finds it increasingly difficult to maintain her independence. The challenges are many, and they show themselves in the lives of these Mainers. Nursing home administrator Irving Faunce of Wilton saw what his own mother endured in the last years of her life. Today, he says the state is ill-prepared financially for the coming wave of people who will require extended geriatric care. Not enough health-field workers are being trained to care for the growing number of people like 70-year-old Donna Beveridge of Saco, who has been diagnosed with Alzheimer's disease and offers a harbinger of sorts for the future of Maine. With advanced age comes vulnerability to physical, emotional and financial threats, sometimes even at the hands of those we should trust the most. 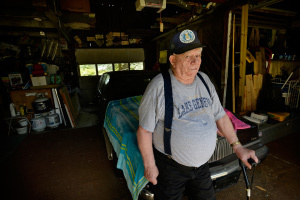 Just ask Stanley Main, 82, of South Portland. Like thousands of other residents of Maine, Patty Smith of Freeport tended dutifully to her ailing mother, only to watch, helpless, as an aging parent stricken with dementia slowly slipped away. 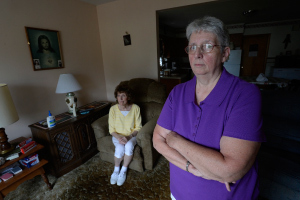 As Laurette Lauze of Lewiston can attest, a backlog of projects and increasing demand mean the already lengthy waiting lists for subsidized living arrangements for seniors will only grow longer. An aging population will affect the quality of life, not just in Maine but in many other places across the globe. The low birth rate and rising number of elders are powerful forces. She's all of the above - and then some. Liz Havu never thought she'd be a caregiver for her mother. But dementia and a promise not to turn to a nursing home altered her life in a fundamental and lasting way. the support is limited, and the regrets are many. That's how people sometimes describe Alzheimer's disease, and for Kathy and Larry Roy, the goodbye has hung in the air for 20 years. Diagnosing Alzheimer's can be tricky, and paltry federal funding is hobbling the search for better treatments or a cure. Cedric and Pauline Long were robbed of their retirement dreams by opportunists who were uncomfortably close to home. Critical steps and tools can make the difference between saving money or losing it. Like a growing number of Maine seniors, Jim and Nancy Pike struggle to put food on the table once they’ve paid their bills each month. The battle against illness and disease takes vigilance. The demand for home care – already unmet – is poised to explode as the state’s population propels into old age. Why, then, are programs that keep low-income seniors out of nursing homes so badly underfunded and how can we attract enough caregivers with such a meager wage? Across Maine and the nation, a higher percentage of people are embarking on their old age unmarried. But many, like Doug Johnson and Flo Rich of Harpswell, are taking a fresh look at love, and walking into the future together. Do you or a loved one need to find in-home care? Rides to doctor appointments? Financial or legal advice? 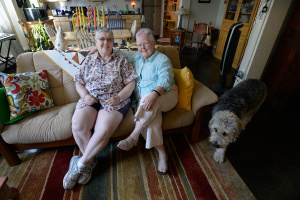 In the course of researching this special report, Portland Press Herald/Maine Sunday Telegram reporters and content producers have assembled a broad and growing list of useful resources for seniors and their caregivers. 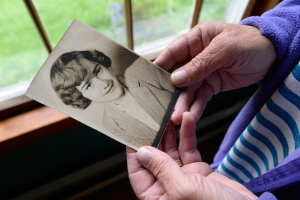 The sweeping power of demographic change, which will shape Maine for years to come, and the personal experiences of journalists at the Maine Sunday Telegram, who, like many other Mainers, are engaged in caring for their aging parents. In reporting these stories, the newspaper reviewed thousands of pages of documents and conducted scores of interviews with expert sources in aging and related fields. Most of all, it relied on the firsthand experiences of Maine residents, who opened their lives to our journalists and shared their personal stories. The lead writer on the project is Kelley Bouchard, and the lead photographer/videographer is Shawn Ouellette. Contributing writers include Tom Bell, Leslie Bridgers, Eric Russell, Jessica Hall and Gillian Graham. 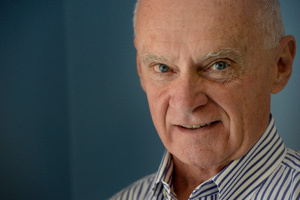 Digital Design Director Peter Vachon designed and built the project Web pages, with assistance from content producer Christian MilNeil. Brian Robitaille, page designer, produced the print pages. The project editor is Dieter Bradbury, deputy managing editor for news.